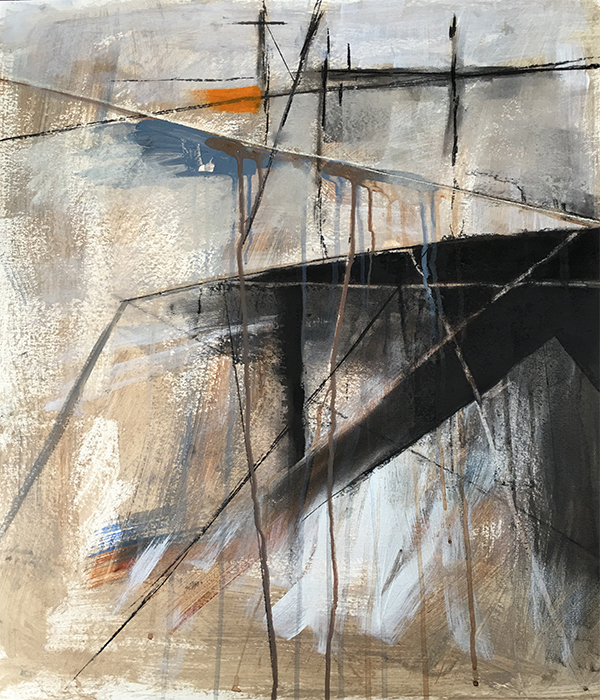 Thames Jetty Orange, Mixed media, 94x68cm, Jessica Gale (Born 1967), £1,400. The Osborne Studio Gallery is delighted to be representing new work by London based artist, Jessica Gale. Jessica began to paint during a spell of living in Amsterdam. Spurred on by the dark, quiet beauty of a Dutch winter, she was strongly influenced by the brooding mood of Rembrandt’s work. Jessica was particularly drawn to the great outdoors and enjoys the opportunity to observe. In her abstract work, she investigates the dynamics of what is in front of her – the shapes, the light, the negative spaces – and then manipulates them through form and colour.